Emo Court is a country villa designed by architect James Gandon (1743-1823), best known for his great public buildings, including the Custom House and the Four Courts in Dublin. The house is surrounded by beautiful gardens and parkland which were first laid out in the 18th century and contain formal lawns, a lake and woodland walks with many very fine trees and shrubs. Gandon designed Emo Court in 1790 for John Dawson, the First Earl of Portarlington. When the last of the Portarlingtons left Emo Court in 1920, the house fell into decline. The Jesuits purchased the house in 1930 and used it as a seminary. In 1969, the order sold Emo court to Major Cholmley Dering Cholmley-Harrison who began the laborious process of restoring Emo Court and its grounds. Today Emo Court and its gardens are owned & managed by the Office of Public Works. Stunning views of the surrounding countryside make the towering Rock of Dunamase a strategic place to build a fortress. Through the centuries, warriors have fought to control this limestone outcrop, known as a “hum”. The first known settlement on the rock was Dun Masc, or Masc’s Fort, an early Christian settlement that was pillaged in 842 by the Vikings. 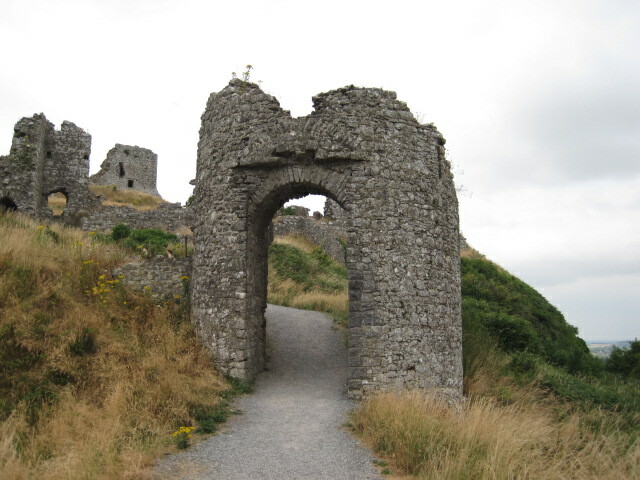 Today the ruins on the Rock of Dunamase are managed by the State. 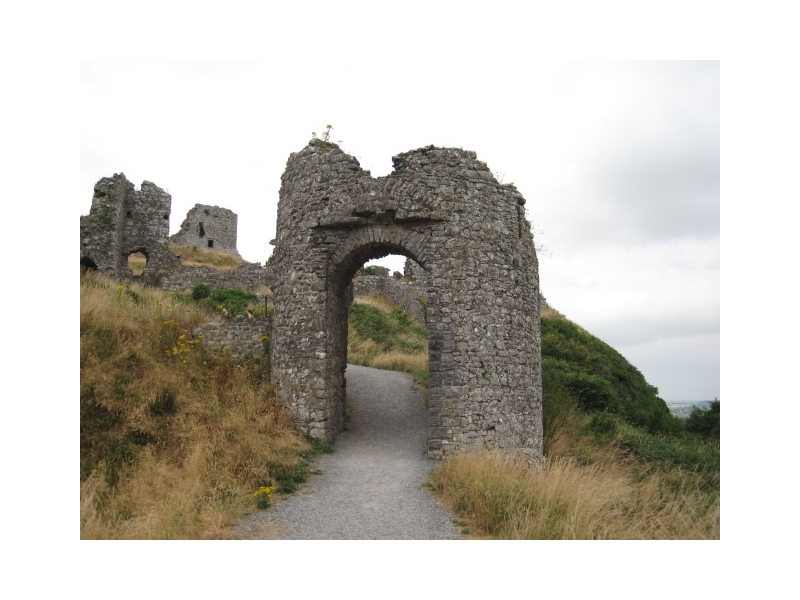 Archaeological excavation and conservation work by the Office of Public Works have ensured that the Rock of Dunamase will survive for further generations to explore. Fishing Museum Durrow… The Irish Fly Fishing and Game Shooting Museum at Attanagh explores 300 years of hunting and fishing in Ireland. It is a treat for anyone interested in country life. The museum was founded in 1986 by Walter Phelan, who comes from a family devoted to fishing. He has restored and adapted a traditional farmhouse to house a collection of vintage rods, reels, guns, tackle, tools and specimens of birds and fish. The museum also displays the exquisite guns, rods and tackle used by the well-to-do, who hunted and fished for sport. Visitors to the museum can enter reconstructions of a Gamekeeper’s Room from the 1800s and a Gunsmith’s Workshop from about 1900. Other displays are housed in the Fishing and Game Shooting Room, the Trophy Room, the Clay Pigeon Room, the Boat House, and the Hatching Room. Bicycle Museum Durrow… Durrow High Nelly Club was formed in June 2011, and was launched in Bob’s Bar Durrow. The club meets every Wednesday and Sunday, and turns out in their old attire, for a leisurely cycle on various different routes throughout the local countryside. For the visitor coming to Durrow we have the only High Nelly bike hire in Ireland called the ‘Elephant Trail’. We also boast the only High Nelly Bicycle museum in Ireland, with bikes dating back to the 1920′s. This museum alongside the club makes Durrow and Bob’s Bar the High Nelly Capital of Ireland and well worth a visit. The Slieve Bloom Mountains are among the most unspoilt and least explored areas in Ireland. They are surrounded by a necklace of villages, each one a gem. Spend a while in Kinnitty, Clonaslee, or any of villages, and it is like stepping back in time, to an era when life moved at a much slower pace. Explore the mountains, by foot, bicycle, horse or car. The Slieve Bloom Mountains are a Hill Walkers paradise. The mountains are not so high as to be dangerous, yet are not so low that they can still provide a challenge to every grade of walker. There are a wide choice of looped walks, long distance way-marked walks or simply take to the hills with a good map and compass. We also have organised walks every week, led by experienced local guides who are only too willing to share their knowledge of the mountains.